Creators Update, the much-awaited feature update for Windows 10, is finally available for download via the official Windows Update Assistant utility. PC users who cannot wait to get Creators Update via Windows Update can get Creators Update right now using Update Assistant. Creators Update for Windows 10 adds tons of new features to the already fantastic operating system. The update brings apps to create and view 3D models, allows you set your own color for taskbar and title bar (ascent color), dynamic lock to automatically lock your PC when you walk away, allows you create live tile folders on Start screen to better organize tiles, game mode, option to pause and delay updates up to 365 days, and more. 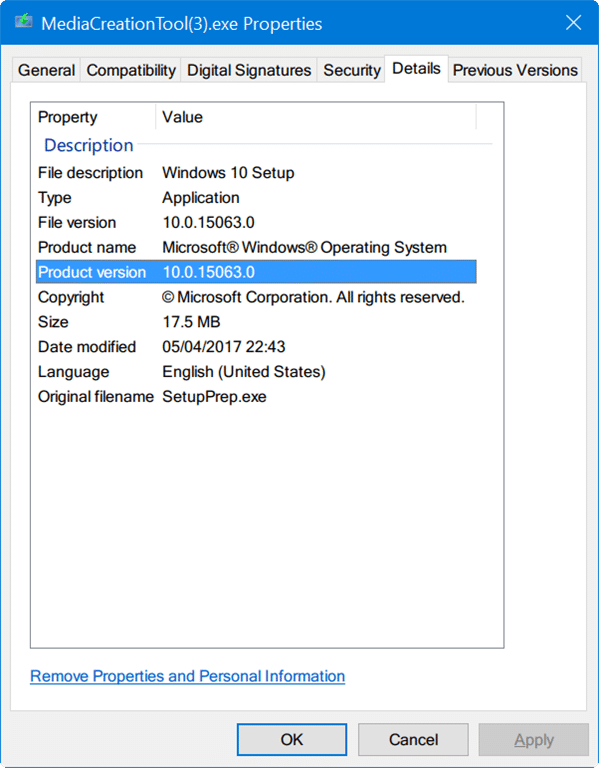 If you want to perform a clean install of Windows 10 Creators Update, you can download Windows 10 Creators Update ISO (32-bit or 64-bit) using the official Windows 10 Media Creation Tool. 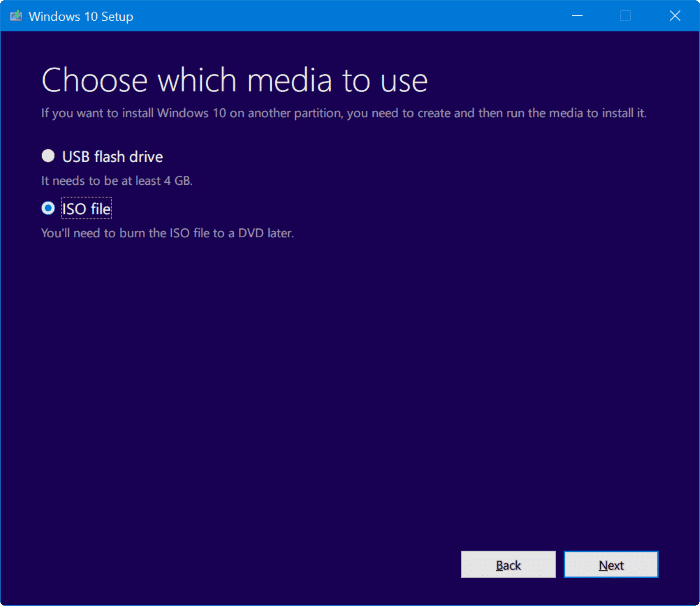 The Media Creation Tool, as you likely know, in addition to downloading ISO, helps you create bootable USB of Windows 10. Follow the given below directions to download Windows 10 Creators Update ISO using Media Creation Tool. 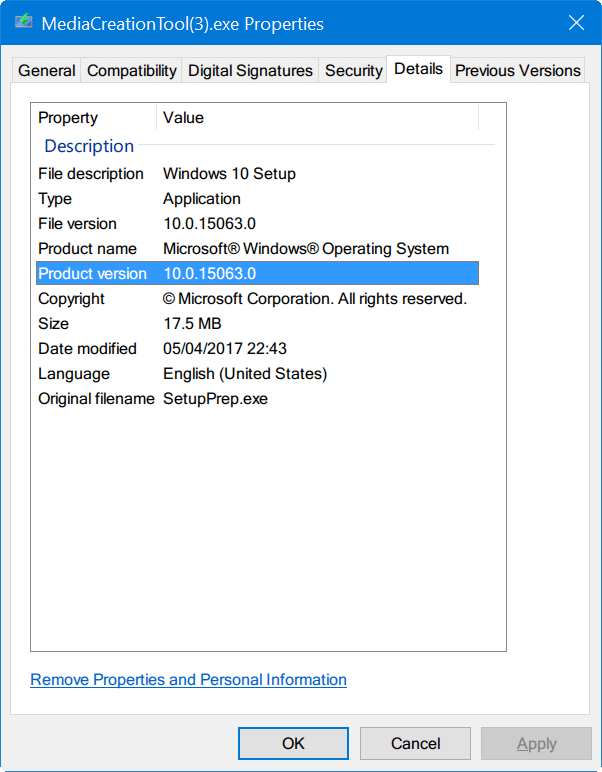 Step 1: Download the latest version of Windows 10 Media Creation Tool from this page of Microsoft. Earlier versions of Media Creation Tool might not download Windows 10 Creators Update, so please procure a new copy from the link mentioned above. Step 2: Run the Windows 10 Media Creation Tool. You can right-click on the Media Creation Tool file, click Properties, click Details tab, and then make sure that the Product version is 10.0.15063.0 or above. Step 3: Accept the license agreement to proceed next. 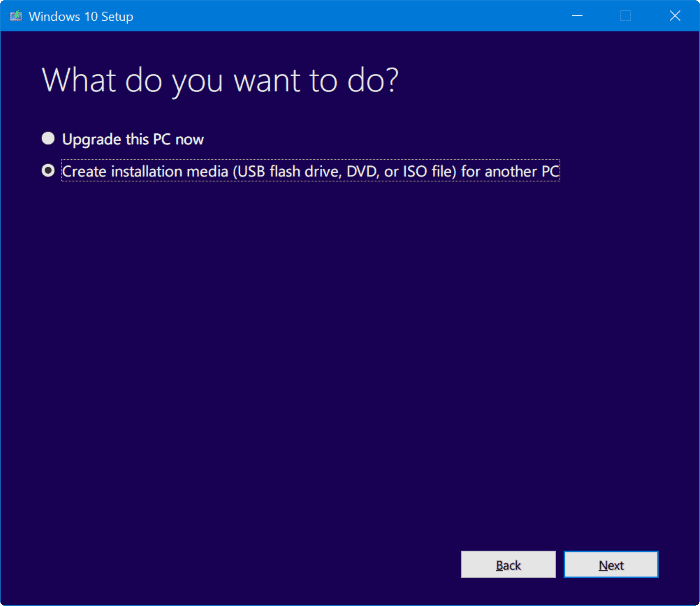 Step 4: On “What do you want to do?” screen, choose Create installation media (USB flash drive, DVD, or ISO file) for another PC option. 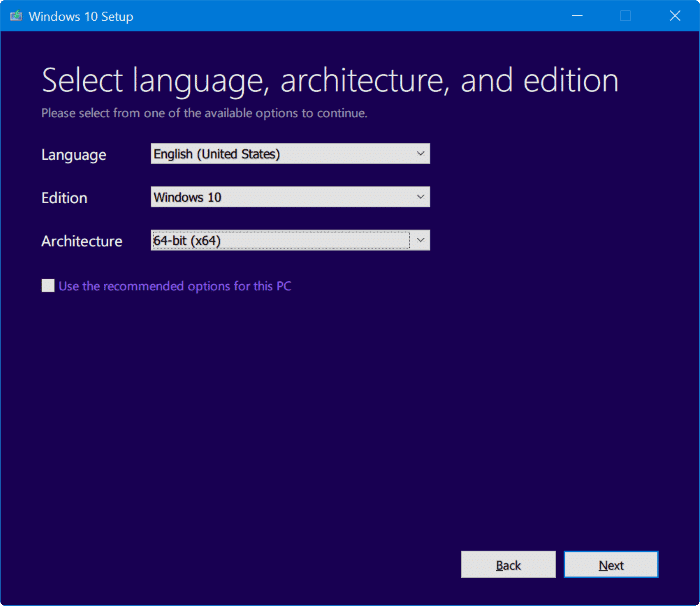 Step 5: On “Select language, architecture, and edition” screen, choose your language, edition of Windows 10 and Architecture before clicking the Next button. Note that, by default, the Media Creation Tool automatically selects language, edition and architecture. To change this, you need to uncheck Use the recommended options for this option on the same page. Also, both Home and Pro are included in the Windows 10 edition and the Media Creation tool will not display Pro and Home editions on this page. Step 6: Next, on “Choose which media to use” page, select ISO file and then click Next button. Upon clicking the Next button, you will be asked to select a location to save the ISO file. Choose a location and then click Save button to begin downloading Windows 10 Creators Update ISO file.